Ash Printzen of Las Vegas – who is currently playing for the AAA Detroit Honeybaked girls 19u ice hockey team – has been selected to play for Team USA Inline which will be playing in games this summer in Barcelona. This is the second time Ash has played for Team USA Inline. Last year Team USA played in Italy and Ash was the #2 goal scorer. In an ice hockey game yesterday Ash scored for AAA Detroit Honeybaked girls 19u in a 3-2 win over AAA Detroit Little Caesars girls 19u. Next, Ash and AAA Detroit Honeybaked girls 19u will take on AAA Detroit Belle Tire girls team on Saturday. New York City – The UNLV Rebels are in New York getting set for their weekend series vs #15 ranked Stony Brook this weekend – the final regular season games of the season. UNLV Rebels head coach Anthony Greener said “…we plan to have a nice team dinner tonight and on Thursday we will do a team tour of the Statue of Liberty. 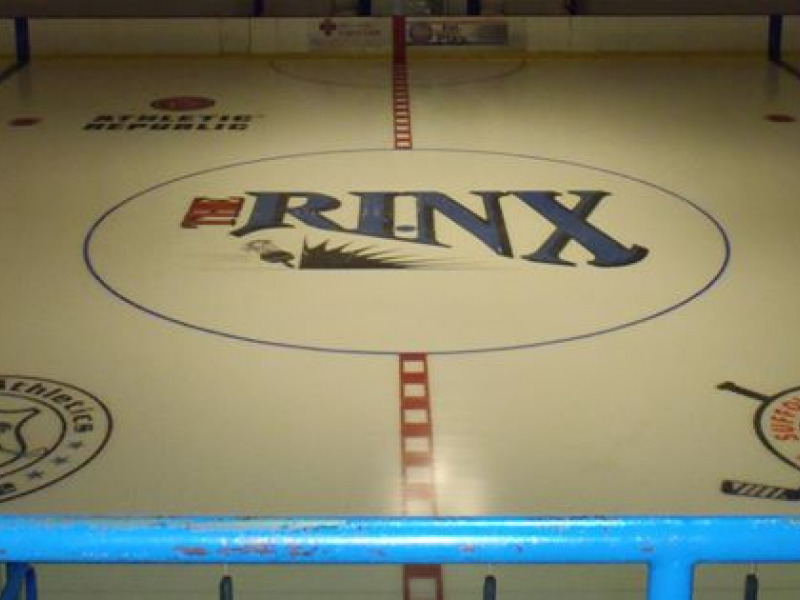 UNLV vs Stony Brook is set for this Friday, Saturday evenings at the Rinx in Hauppage, New York. The 2019 ACHA Men’s Division-I National Championships will be hosted March 21-26 for the first time by the Visit Frisco, Dallas Stars, and Children’s Health StarCenters at the Comerica Center in Frisco, TX. This will be the eighth year of the 20-team format. The eighteenth ranking of the regular season will be released on Wednesday, March 6, 2019 and will determine the remaining 14 teams invited to the 2019 ACHA Men’s Division-I National Championships. Winnipeg, Manitoba – Jason Zucker of Las Vegas scored on a powerplay with 1:30 left to tie the game, then teammate Joel Eriksson Ek got the game-winner for the NHL Minnesota Wild in a 3-2 win over the Winnipeg Jets at the Bell MTS Place Arena. Jason’s 16th goal of the season was assisted by Ryan Donato and Eric Staal. That was Jason’s 117th career goal in the NHL. Minnesota has won all 4 games against Winnipeg this winter. We will be adding more coaches right up until the camp! The American Collegiate Hockey Association (ACHA), the governing body for non-varsity collegiate hockey in the United States will host the 2019 ACHA National Championship Tournament in Frisco, Texas in conjunction with the NHL’s Dallas Stars and the Frisco Convention and Visitors Bureau. The 2019 ACHA National Championships will be played at the Dr Pepper Arena in Frisco, Texas as well as additional StarCenter facilities. The Dr Pepper Arena is the home practice facility for the NHL Dallas Stars and also houses the Stars’ Executive Offices. The StarCenters are the Stars-led community ice rinks throughout the DFW Metroplex.